The right to join a union or take industrial action. All apprentices must also receive wages and conditions either under an appropriate award, enterprise agreement, or according to the National Employment Standards. The right to receive wage increases on the basis of either apprentice year level or skill, depending on which award applies. These rights do not apply to trainees. The only entitlement not granted to apprentices is redundancy pay in the case of a legal redundancy. Further, an apprentice cannot claim unfair dismissed if dismissed at the conclusion of apprenticeship. For non-school based apprentices the time spent at trade school is paid time and is included in ordinary hours of work. Apprentices should be paid for all work hours and trade school hours and have the right to have that pay increase periodically with experience. School based apprentices have different rights and entitlements to other apprentices. School-based apprentices should be paid in full for the hours worked for the employer. 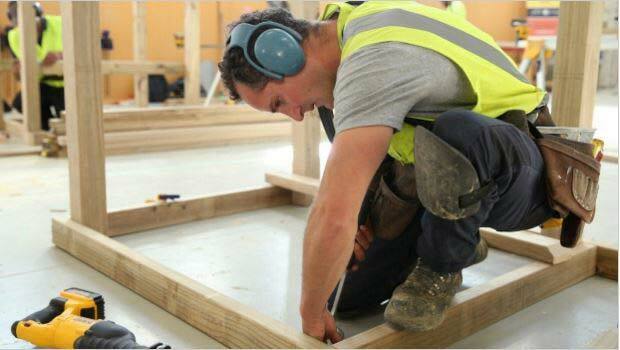 School-based apprentices are not paid for the actual hours they spend in training. Instead they should be paid for the hours worked for the employer and should receive an additional payment equivalent to 25% of worked hours to cover training. For example, if an apprentice works 10 hours for their employer, they should be paid 10 hours for work and 2.5 hours for training, regardless of the amount of time actually spent in training. This reduced rate of payment only applies to full time students. School-based apprentices should still be paid at the full-time apprentice hourly rate yet that can be averaged over a semester or a year. The important thing to remember is that apprentices should not only receive training and be paid for it, but have the exact same rights in the workplace as any other employee.